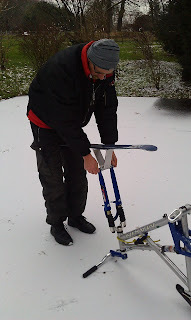 Step 1 - Place the skibike upside down on a level surface with some grip, avoiding slush and muddy puddles! 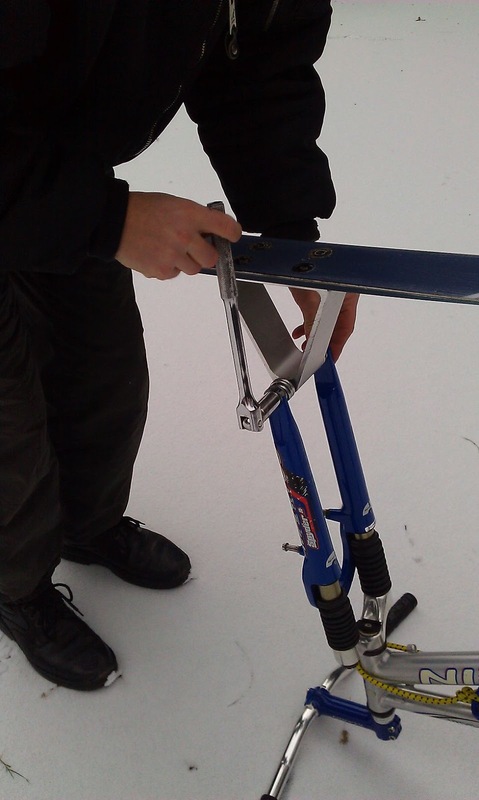 Step 2 - Mount the front ski on the forks, note that with twin tipped ski boards it is easy to mount the front ski back to front, so use the graphics on the top to guide correct orientation. It helps to hold the tip between your thighs whilst you adjust the nuts with a 15mm socket. 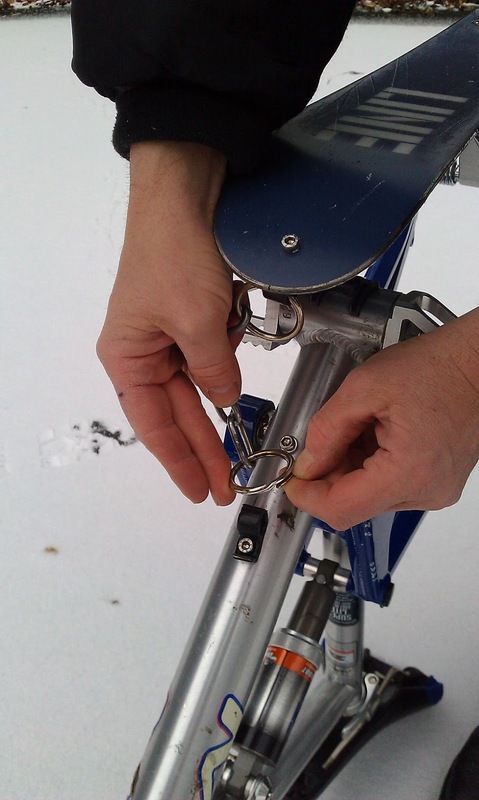 Make sure that the large washers fit next to the springs not outside the forks for the correct self levelling action. 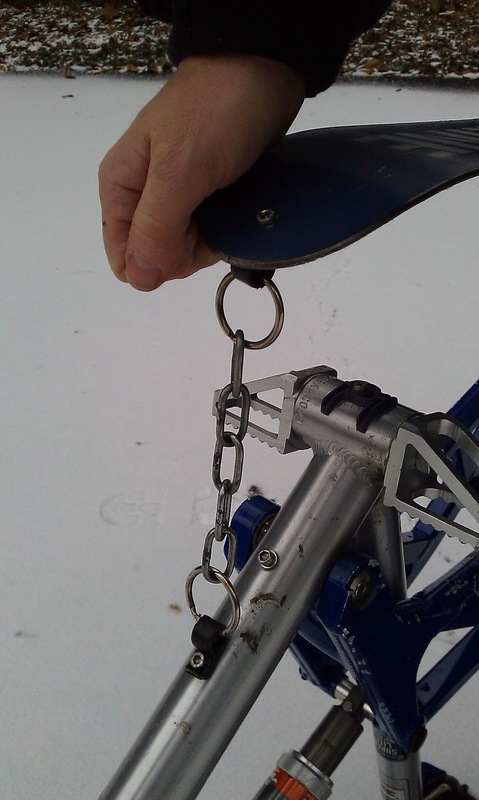 Tighten each side progressively to a moderately strong hand tight fit. Step 3 - Mount the rear ski in a similar manner to the front. Note that there are 4 washers on the back axle which fit each side of the chainstays. Step 4 - Fit the retaining strap between the rear ski and the frame (if you have one). Step 5 - Keep a lightweight 15mm socket wrench in your day pack, just in case you want to dismount the front ski for easier Gondola travel or make fine level adjustments. Step 6 - Enjoy your mountain bike now it has been transformed into a skibike. 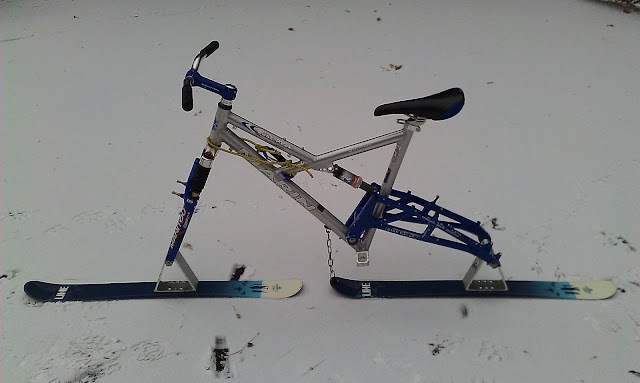 A final comment once you have fitted and removed the skis a few times you should be able to complete the task easily in under 10 minutes. 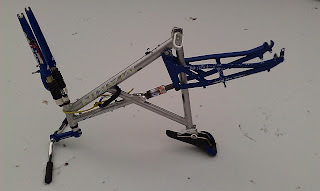 You may need to use light hand pressure to pull apart the frame to allow the adapters to slide into place, no further tools should be necessary.